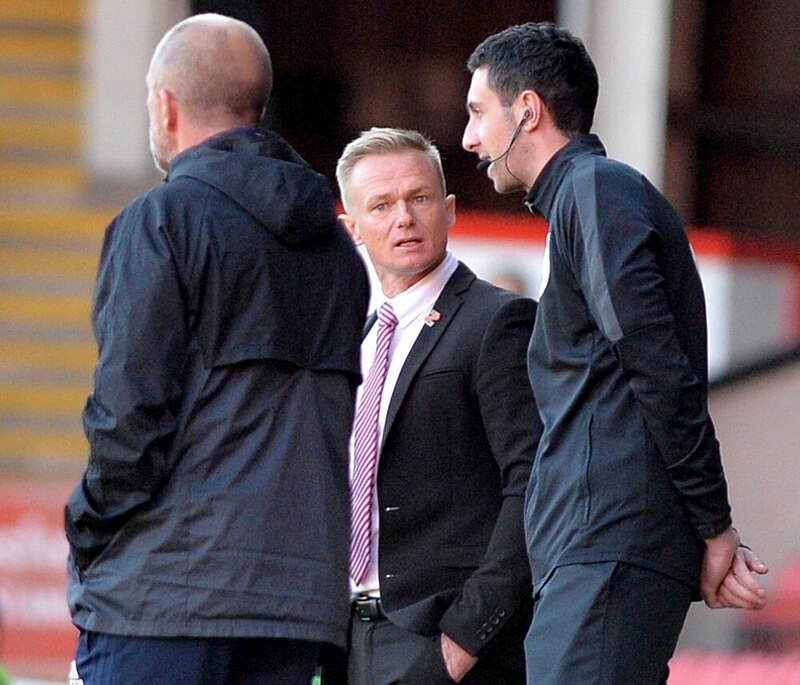 Boss Dean Keates bemoaned his team’s slow start after Walsall slipped to a 1-0 home defeat against Accrington Stanley. Dean Keates: We can't give teams a head starts. A seventh minute penalty from Billy Kee - following an Isaiah Osbourne foul - saw the Lancashire side claim the points at the Banks’s Stadium. On what was a hugely frustrating afternoon for Keates’ men, the Saddlers dominated for long spells but lacked quality in the final third. Josh Ginnelly, Jon Guthire, Morgan Ferrier and Andy Cook all missed chances while Connor Ripley made some excellent saves on the occasions Walsall didn’t break through. And Keates felt his team needed to be more clinical. “You can’t give a team a head start and we gave them a head start in the first couple of minutes,” the boss said. “We weren’t good enough after that. The keeper pulled off some decent saves for them but that’s football. “With the penalty – it was that second phase. We were aware of it. We told the lads to be aware of every set piece and we got caught flat-footed. “After that it was a little bit scrappy. The final product wasn’t good enough and when we did get through their keeper pulled off some decent saves. “We are disappointed. We don’t like losing games. Keates felt his team should have been awarded a penalty of their own when Ripley collided with Ismail just before half-time. “My opinion is obviously different to the referee,” the boss continued. “There is no contact but the intent is there and where else can Ismail go? “The keeper has come out, gone to ground and gone right underneath him. Following the match there was a scuffle in the tunnel between the teams. But Keates insisted it was nothing serious. “It was a bit of handbags,” he added.